The new cumulative update brings no new feature, however, there are minor fixes and improvements for Windows 10 AU. The latest update brings reliability improvements for the App-V, Remote Desktop, and Groove Music playback while in the background. Microsoft also fixed the issue where after successful fingerprint authentication on a mobile device with the screen off, the screen does not turn back on. Windows team also fixed an issue where some users unable to open Internet shortcut (.URL) files with Internet Explorer when Enhanced Protected Mode is enabled. Microsoft also fixed additional issues with Internet Explorer, Windows Update, Logon, Microsoft Edge, clustering, Hyper-V, PCI bus drivers, input devices, facial recognition, and Windows Kernel. This time Microsoft also posted known issues with this update. According to the company, the update may create a problem like delayed or clipped screens while running 3D rendering apps ( like games) for some users on systems with more than one monitor. However, you can fix this issues by simply running the app in Window mode or starting the app with only one monitor connected. Previously, Windows Insider team released cumulative update KB3209835 build 14393.594 for Release Preview Ring members. 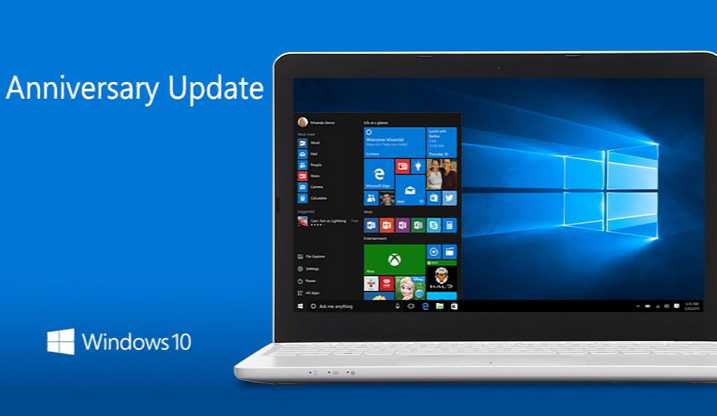 The new update KB3213986 will push Windows 10 PC build 14393.576 to build 14393.693 and mobile build 10.0.14393.693. Addressed issue with license conversion of Server Core from the evaluation version to a retail version. Recently, Microsoft also released Windows 10 Creators Update build 15002 for fast ring insider members, which brings many new features for insiders. Also, Windows 10 build 14986 ISOs are now available for download. You can download ISO from here. If Windows 10 Update KB3213986 stuck or fail to install, you can check our guide here to fix these issues.